A while back, I picked up a bunch of Red Heart Designer Sport yarn on clearance – two balls each in Crimson, Berry, and Lemon Zest. I didn’t have any plans for them, but I knew I wanted to cheap yarn to experiment with. 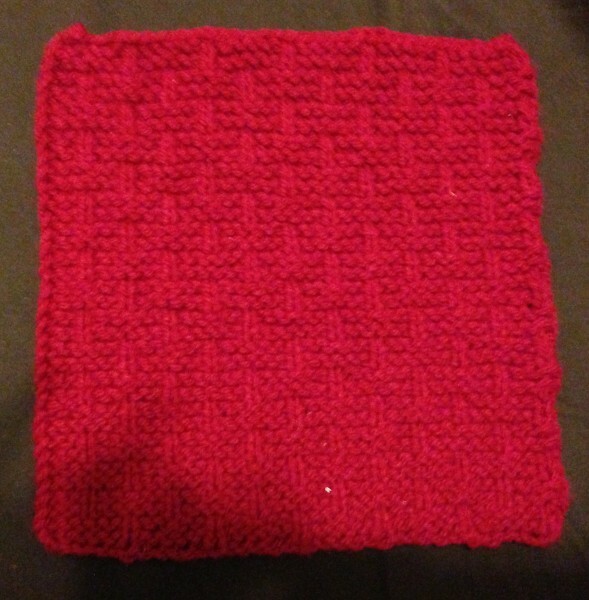 Anyway, I decided to knit up a bunch of squares to sew together into a quilt. Here’s what I produced from the first ball of crimson. 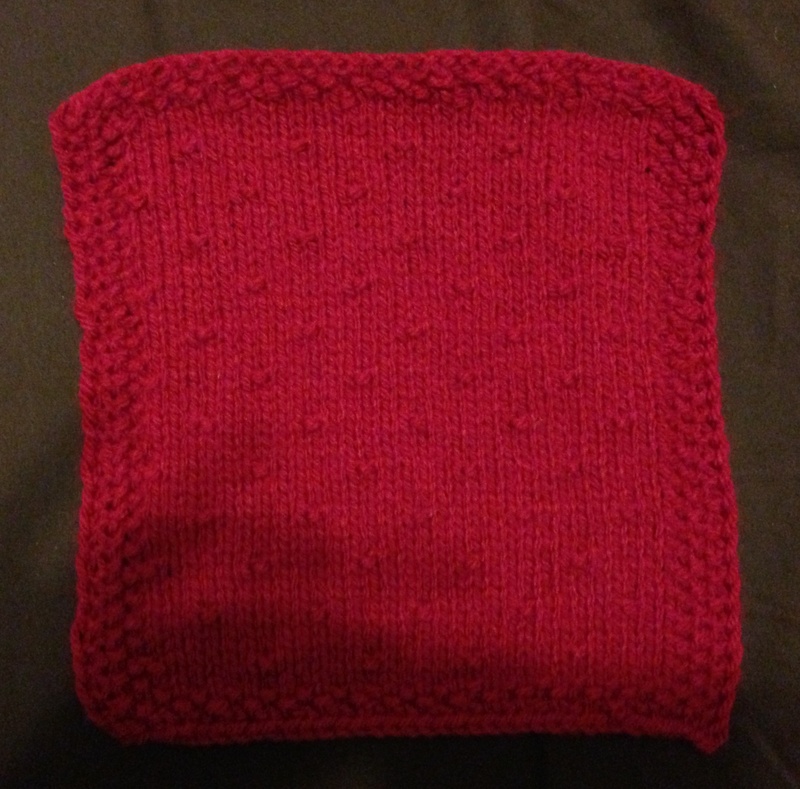 I got five ~6″ squares (I haven’t actually measured them, so this is a very loose estimate) in my tight-ish knitting. 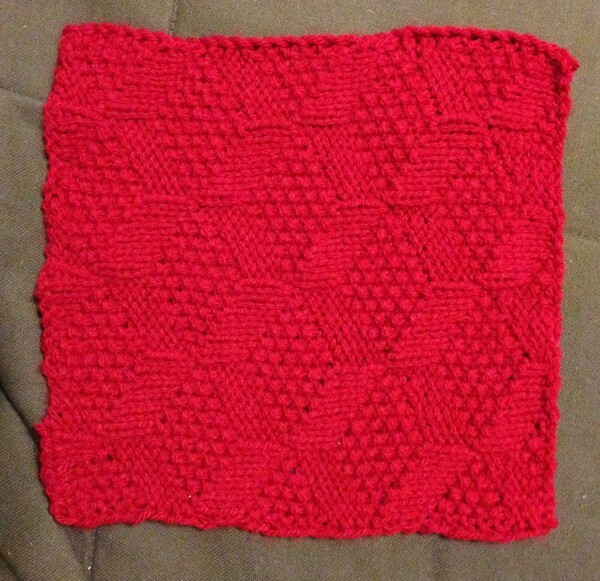 For each square I cast on 38 stitches (I picked 36 as a good number that’s divisible by a bunch of things, and therefore versatile enough for me to try out a lot of different knit=purl combinations, with an extra to stitches to make sure I have clean edges. slip one purl-wise, *follow pattern for given row until last stitch*, k1. And I cast off when it approaches squarishness. 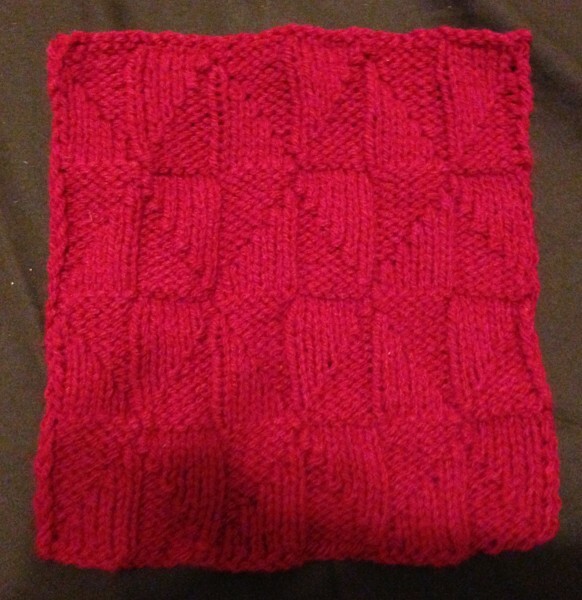 Here’s my first five completed squares! 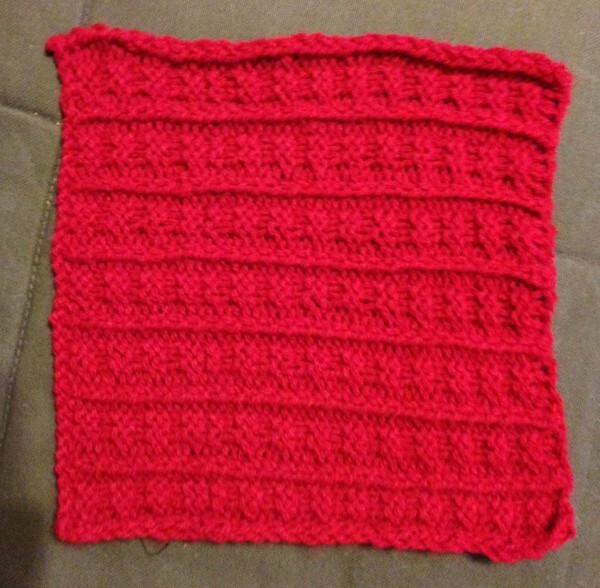 Repeat Rows 4-7 until almost square, and then end with three rows of moss stitch (i.e. as Rows 1-3) before casting off.